Available in 2 sizes, Small (1/2 pint) and Large (1 pint). The small stern tankard measures 122mm x 80mm and weighs 460g unboxed. The large stern tankard measures 150mm x 95mm and weighs 810g unboxed. 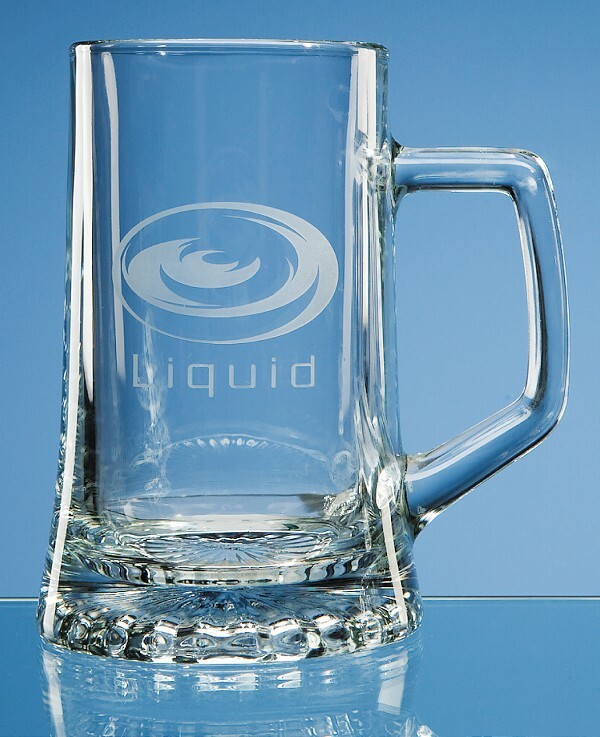 Our most popular tankard has the benefit of a large engraving area. It's extremely durable and is suitable for every day use or can be put on display.